It's better in motion than in screenshots, I'll give it that, but still beautiful nonetheless. Most of the photos. on the Internet are of the HD version, which of course solves that problem easily. at Yoshi's nose halfway through a coin. See what your saying about the genre of realistic racer's is a lot like the kids with JRPGS. It's almost like people can have different tastes in games! Yeah Bingo yet you had a bit of ago at TCK at not liking JRPG's yet you are doing the same as him. Actually, I'm not going to bring that post back up, beyond that paragraph. Why you want to is beyond me, especially given that I've repeatedly stated that this is my personal opinion, that "I think". Never have I said that as a result, these games should not be made. Never have I said that they are objectively bad, nor even (which would be on-topic, albeit wrong) objectively ugly, although I will admit that that somebody finding graphics as impressive as art direction bewilders me. And as a result of my disinterest, I don't post in their threads. I am not doing the same as that post, and frankly I don't see how you can possibly think that if you've read both. I'm impressed by the graphics on a technical standpoint and art direction as art direction hence why at GDC, BAFTA you have two awards for each of them , it's the same with movies with Visual Effects and Cinematography. 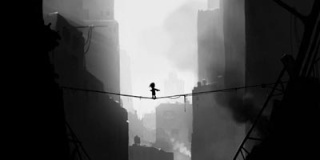 Mas - Limbo is a gorgeous game, props for bringing that up. 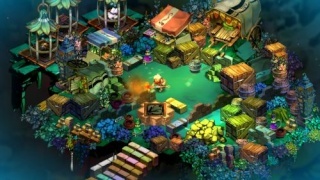 I think most indie titles have to stand out in some way, and solid visuals is the way most achieve it. Bastion springs to mind too. 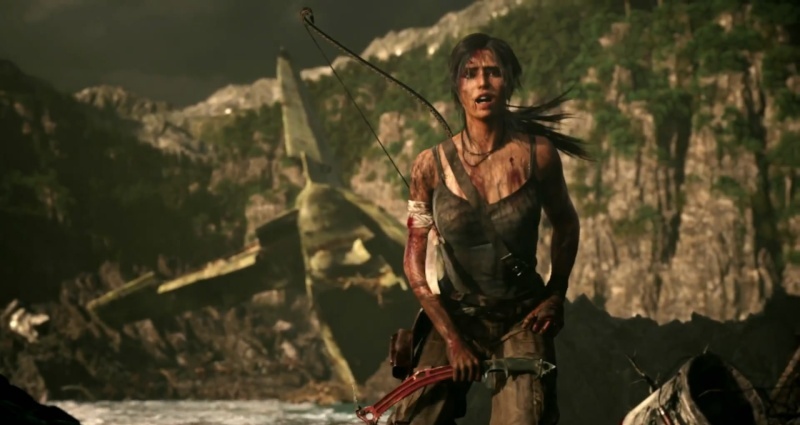 I was left pretty unimpressed by Tomb Raider and I don't think the Definitive edition did as much as it could have done to change that. 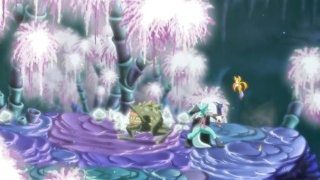 The environments still looked kinda naff. 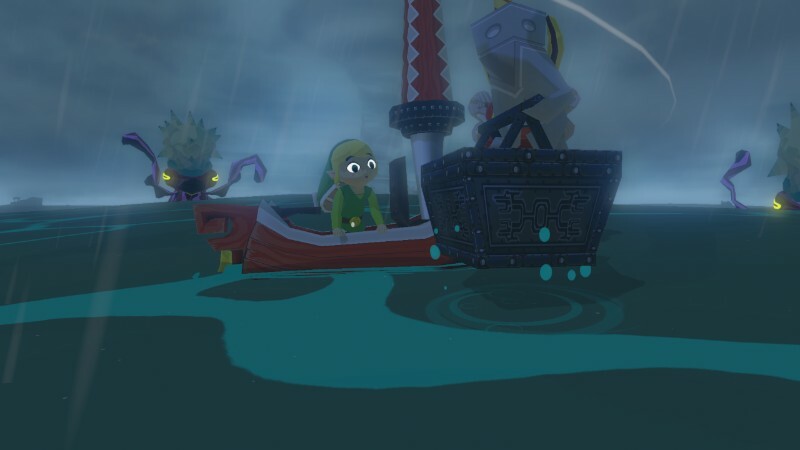 Not played it yet, but it looked like it had pretty rain effects, so there's that. 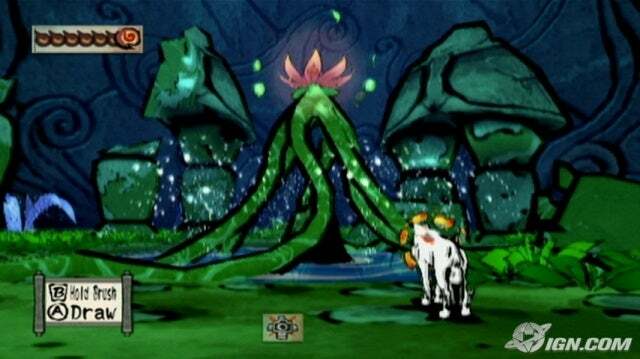 That reminds me of how fantastic Pikmin 3 looked! I definitely need to replay that soon. I thought Lara looked gorgeous in Tomb Raider, not in that way Mr Lilly. I do think indies are the best for this thread as they take risks and try new or different things. Don't do that to me Jas. I think this is the HD version, but honestly they're both beautiful. That sea! 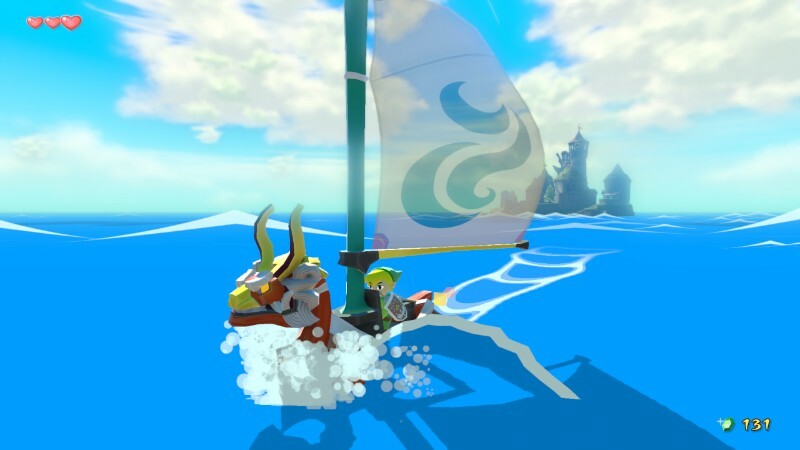 I think Wind Waker is one of those games which are just sort of accepted as being beautiful now, like an unsaid videogame fact. Ni No Kuni is so damn gorgeous. I could easily see me picking up a PS3 on the cheap at some point just to play it. 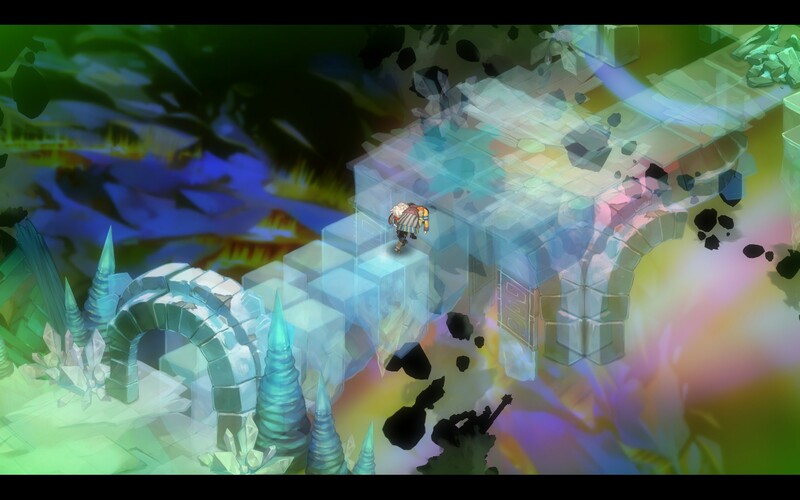 I wouldn't worry about picking up a console just for Ni No Kuni, For all the beauty the gameplay is forgettable at best. It looked pretty fun to me! But I was somewhat RPG starved when I watched gameplay videos of it, so I may have been wrong. I think it looks more fun than it is. In reality it's more of a Tales of... lite. The second half of the game basically revolve around spamming 1 spell. Definitely fun but not a system seller. Ni No Kuni is amazing Jay well worth getting a PS3 for especially seeing how cheap you can get both. It's one of best JRPGS I've ever played yeah it might be a bit lite but the story and art etc are so good it raises it above most. But you could get the story and animation from a Let's Play if you wanted. 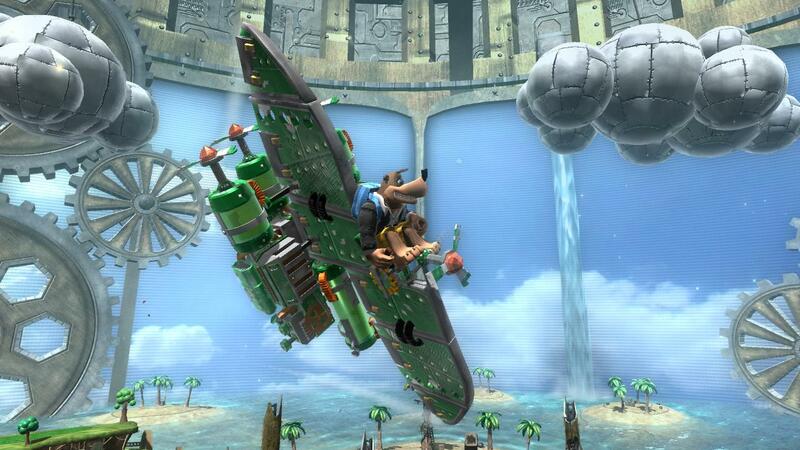 If there were loads of other games Jay wanted on PS3 I'd say fire away just saying NNK alone isn't worth it. 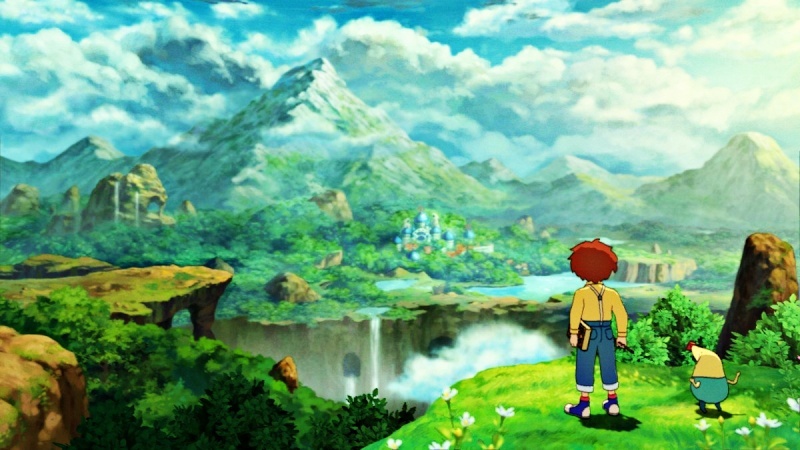 Studio Ghibli having a hand in the visuals pretty much ensured Ni No Kuni wouldn't be anything other than breathtaking. Quick question, we keeping screens strictly to in game or are cutscenes allowed? Just asking as Mas' NNK pic was a still from an animated sequence. Anything that made you go "oooh" in a videogame should be fair game, I'd have thought! While I'm sat down and comfy, I'll try and dig up some pretty shots. Even in SDef. 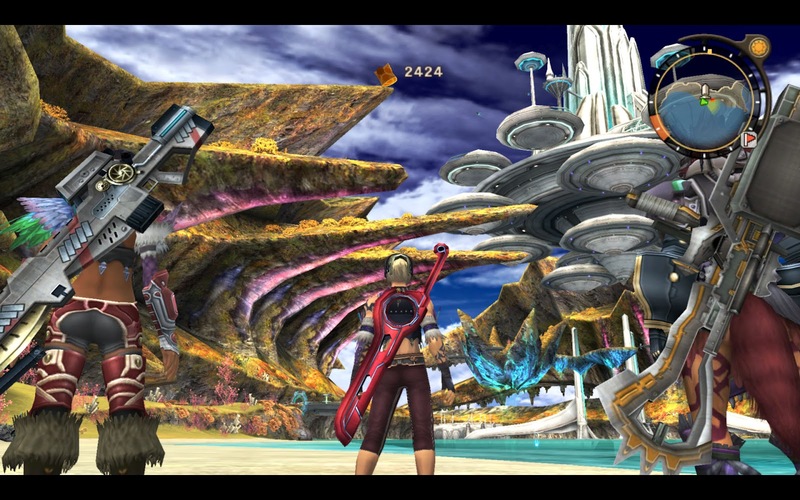 jaggy-o-vision, you can't help but appreciate Xenoblade's scale and architecture. Delightful. From its sunny shores to its pools of shifting multicolour goop, Super Mario Sunshine stands up well in the modern day. 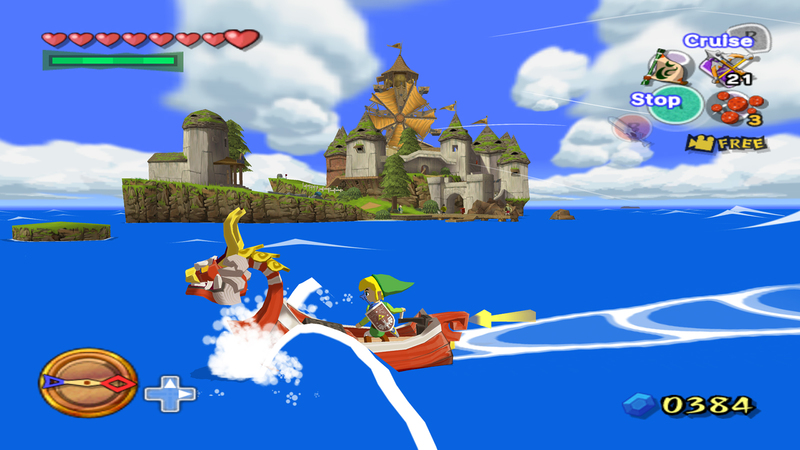 In any other game series, Skyward Sword would be guaranteed to be the prettiest game. 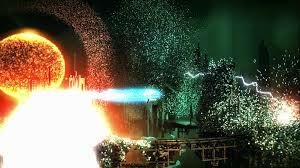 I can't find a good picture of the paint-like effect that the game uses for distance, but that too is beautiful.